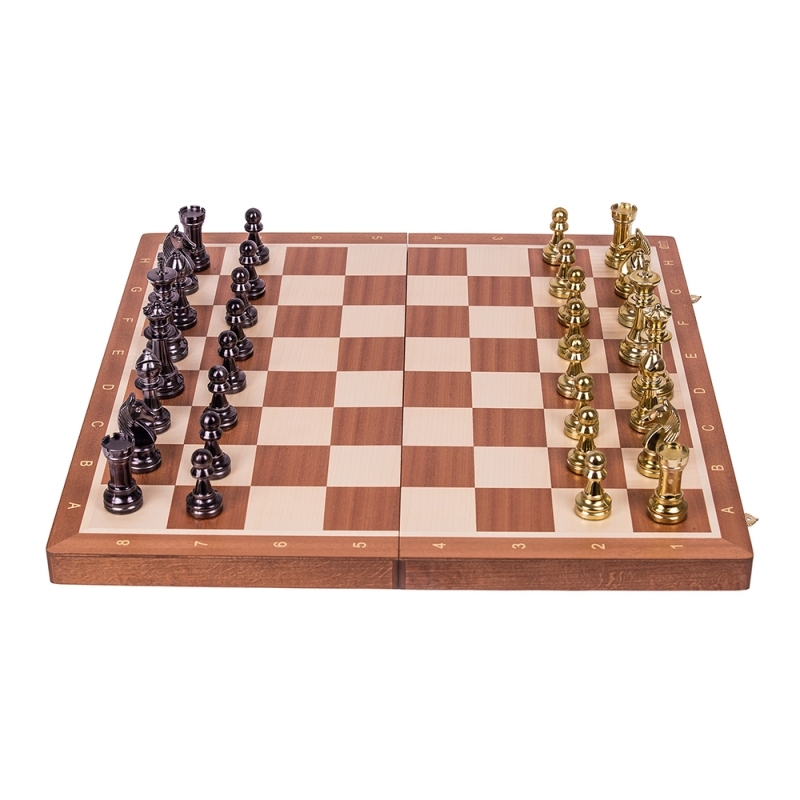 Chessboard is made from the best pieces of mahogany and sycamone wood and is perfectly finished by hands (Inlay). 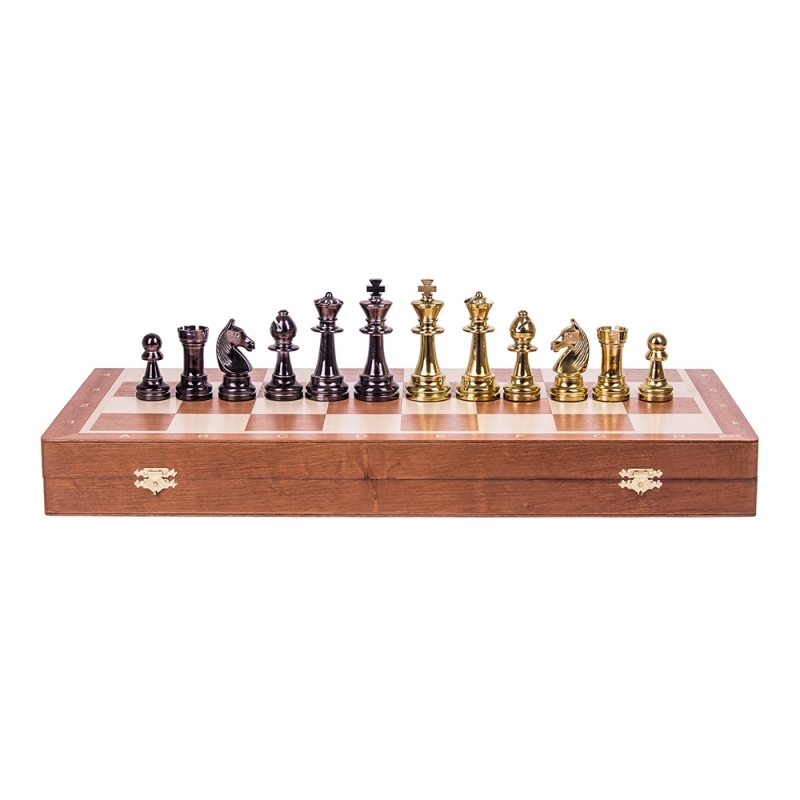 Dark squares are carefully prepared to a beautiful mahogany colour. 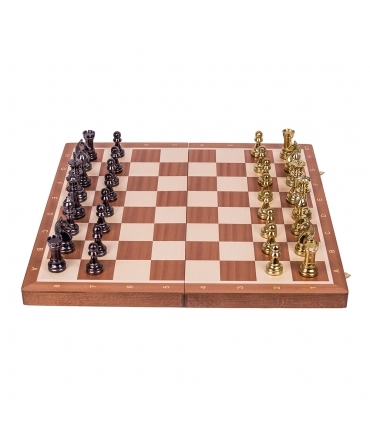 Lighter squares are left as pale natural wood and are lacquered with perfect finish. 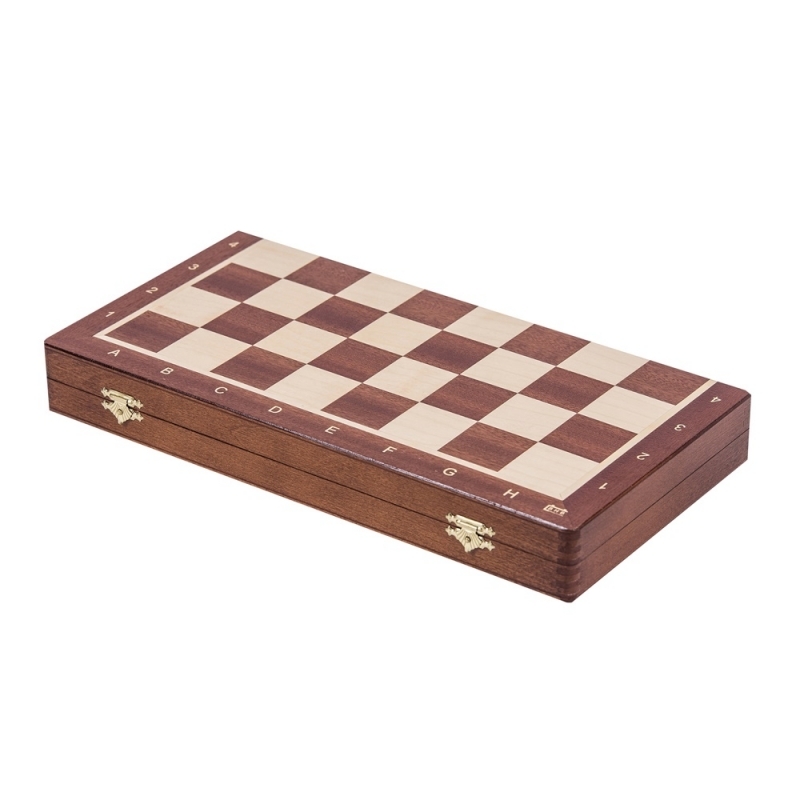 Chessboard have a mat-lacquered finish. 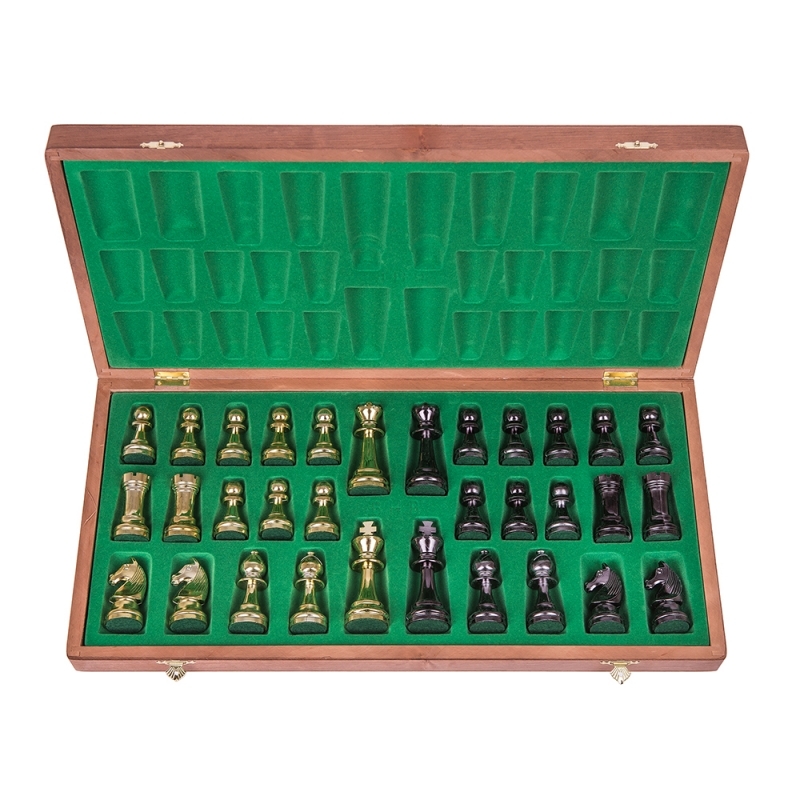 Chess Pieces made of plastic, in addition to vacuum metallized.. 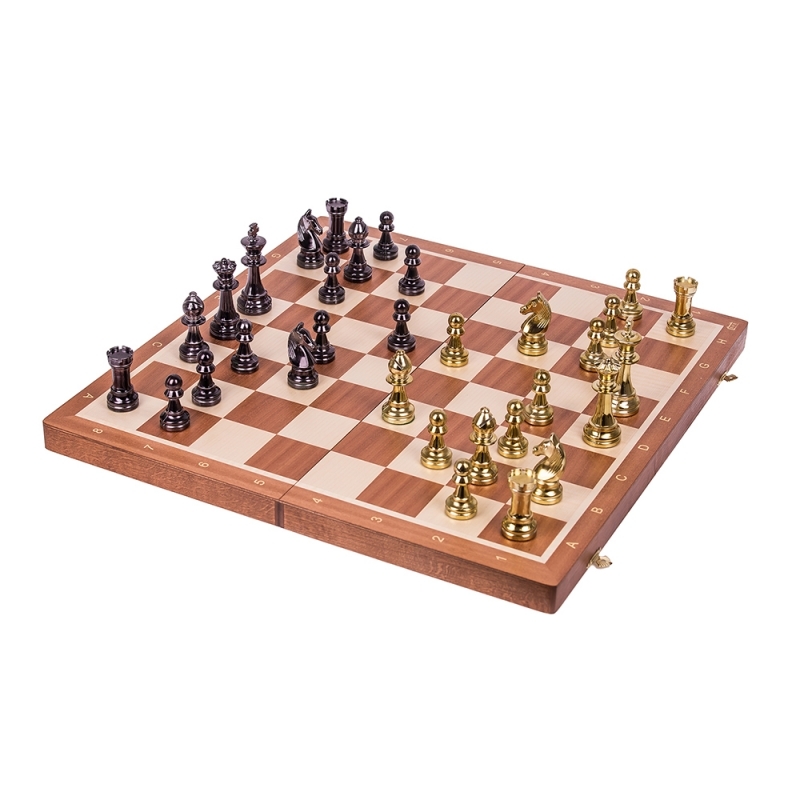 The height of the king: approx. 96 mm - Staunton 6.